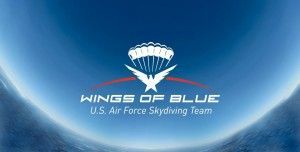 Each member of the Wings of Blue Demonstration Team is hand selected to represent the Air Force and Armed Forces. They are put through rigorous training on free­fall and canopy flying, smoke systems, flag systems, and formation flying maneuvers. The Wings of Blue Demonstration Team shows are specially tailored each time to accommodate the show site. 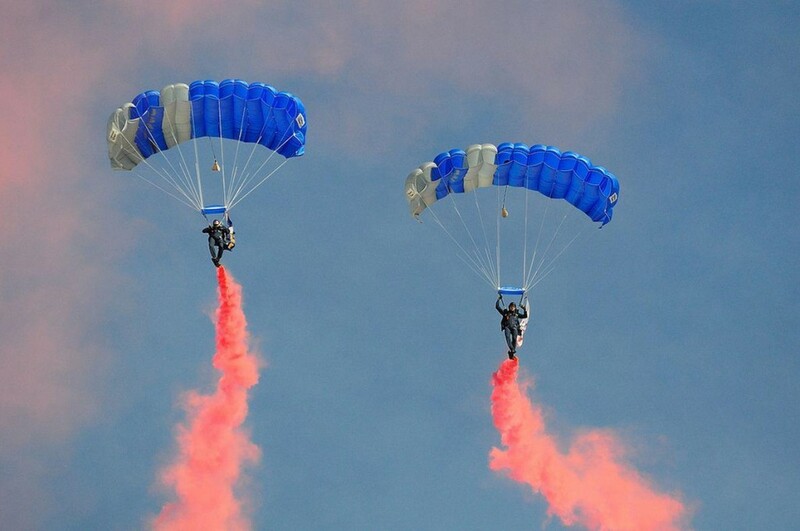 Popular demo maneuvers include the Wings of Blue bomb­burst, in which each jumper performs a 180 degree turn and tracks in separate directions creating an incredible burst effect, or Canopy Relative Work where the jumpers will join their parachutes together and fly as one. Additionally, jumpers fly streamers and a massive 800 square foot American flag! Each demonstration is complemented with a special soundtrack and narration for full crowd enjoyment. Upon landing, the demonstrators will move to the crowd where they will sign autographs, take pictures, and answer questions.